Vapor inhalation of the ( + ) isomer of methamphetamine hydrochloride, colloquially known as ice has several differences when compared to vapor inhalation of cocaine freebase. Although both methamphetamine and cocaine freebase have their origin as a salt, cocaine hydrochloride must be pretreated with an alkaline substance to remove the hydrochloride, thus creating the freebase of cocaine that can be heated and inhaled as vapor. In contrast, methamphetamine hydrochloride can be heated and inhaled without adulterating the original compound. When heated, cocaine freebase has a melting temperature of 208°F while methamphetamine hydrochloride melts at 268°F. Once the appropriate melting temperature is met for each substance, vapors will form and can be inhaled. Significant amounts of cocaine freebase vapor are lost through pyrolysis (chemical change caused by heat) and little condensation appears on the water pipe, suggesting decreased amounts of inhaled vapor. Meth-amphetamine hydrochloride, however, condenses as a crystalline solid on the cooler areas of the glass pipe. It is thought that this same phenomenon occurs in the mouth and throat of the user, leading to rapid methamphetamine absorption through the lungs as well as delayed absorption through the oral mucosa. These differences in drug absorption have been demonstrated by comparisons of plasma levels of cocaine and methamphetamine after smoking the individual substances. Plasma levels of cocaine peak and decline rapidly, with a half-life of approximately forty-five to sixty minutes. Metham-phetamine plasma levels also rise rapidly, but the half-life is approximately eight to twelve hours. The delayed absorption of methamphetamine from the oral mucosa is thought to play a role in the extended half-life. Differences in the metabolism of cocaine and methamphetamine also contribute to the disparity in plasma half-life. Cocaine is quickly degraded to inactive metabolites by plasma esterases (enzymes) and cleared from the bloodstream. Methamphetamine is eliminated by enzymes with limited plasma distribution and limited activity and, unlike cocaine, is converted to active metabolites that prolong the action of the drug. These active metabolites can accumulate, and repeated smoking of methamphetamine and its active metabolites can lead to dangerous levels of metham-phetamine in the plasma. In summary, differences between cocaine freebase vapor inhalation and methamphetamine hy-drochloride inhalation include method of preparing the substance, melting temperature, metabolism, and length of plasma half-life. These differences can have important clinical implications. For example, methamphetamine can cause paranoid symptoms that last considerably longer than those ordinarily seen after cocaine smoking. Distinguishing between drug-induced paranoia and other causes of paranoia thus requires a different length of drug-free observation depending on which drug was inhaled. Understanding the differences between cocaine freebase inhalation and methamphe-tamine inhalation, particularly the difference in duration of action of the two drugs, can be important in the evaluation and management of patients with stimulant abuse. Although in use since the mid-1970s, freebasing cocaine became popular in the United States in the early 1980s. The popularity of this route of administration was responsible for the rise in U.S. cocaine use during the mid-1980s. When cocaine is smoked, it is rapidly absorbed and reaches the brain within a few seconds. 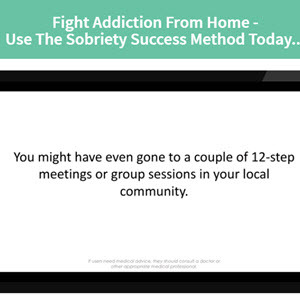 Thus, users get a substantial immediate rush and an almost instant ''high,'' comparable to that after intravenous cocaine. This is in contrast to intranasal use of cocaine, which engenders a high with a much slower onset. Freebasing is thus a convenient way of taking cocaine, with the possibility of repeated and substantial doses. Since the likelihood of abuse is related to the rapidity with which a drug reaches the brain, smoking cocaine makes it more likely that use will lead to abuse than does snorting the drug. Despite losses of more than half of the cocaine when it is smoked, sufficient cocaine rapidly reaches the brain, providing an intense drug effect—which users repeat, often to toxicity. The danger of freebasing, in addition to the inherent danger of cocaine use, lies in what some users perceive to be the greater social acceptability of a route of administration that requires minimal PARAPHERNALIA and can achieve toxic levels of cocaine with relative ease. CHU, A. K. (1982). Ice: A new dosage form of an old drug. Science, 249, 631-634. COOK, C. E. (1982). Pyrolytic characteristics, pharmacokinetics, and bioavailability of smoked heroin, cocaine, phencyclidine, and methamphetamine. In M. A. Miller & N. J. Kozel (Eds. ), Methamphetamine abuse: Epidemiologic issues and implications, 6-23. NIDA Research Monograph no. 115. Rockville, MD: National Institute on Drug Abuse. Inciardi, J. A. (1982). Crack-cocaine in Miami. In S. Schober & C. Schade (Eds. ), The epidemiology of cocaine use and abuse. NIDA Research Monograph no. 110. Rockville, MD: National Institute on Drug Abuse. Perez-Reyes, M., ET AL. (1982). Freebase cocaine smoking. Clinical Pharmacology and Therapeutics, 32, 459-465. SlEGEL, R. (1982). Cocaine smoking. Journal of Psychoactive Drugs, 14, 271-359. Psychoanalysis, became interested in Cocaine in the early 1880s. At the time he was in his late twenties and was a medical house officer at the Vienna hospital called the Allgemeine Krankenhaus. He was able both to gain access to the literature about cocaine and, at some expense, to the substance itself (which was not illegal at that time). There had been articles in the American medical literature describing cocaine used in the treatment of various ills and for drug dependencies as almost a panacea. The ability of cocaine to fend off fatigue and enhance mood also came to Freud's attention. He was particularly taken by suggestions that cocaine might be an adjunct to, or even a cure for, ALCOHOL or OPIOID dependencies. His interest was heightened because one of his close teachers and friends, Ernst von Fleischl-Marxow, had become an opiate addict. Using cocaine, Freud treated him with almost disastrous results. At the time, there was no opprobrium attached to the use of cocaine and relatively little concern about any adverse effects. Freud performed a number of cocaine experiments on himself and reported the results in his experimental paper, ''Contribution to Knowledge of the Effects of Cocaine.'' These were reasonable studies that provided useful data about the physiological and psychological effects of cocaine. 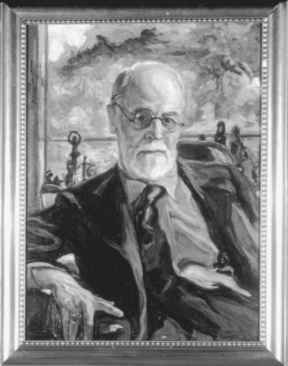 Biographies of Freud, such as Ernest Jones's The Life and Work of Sigmund Freud, have tended to disparage his experimental paper and other works on cocaine. Although his work was done on himself and was limited in its scope, it has been confirmed in modern replications. Freud was initially skeptical about the possible ''addictive'' properties of cocaine in normal individuals, but later, in the face of evidence and criticism, he was less vehement on the subject. He became, in later life, very sensitive to criticism of his earlier views on cocaine. From 1884 to 1887 Freud wrote four papers concerning cocaine, including a definitive review ("IJber Coca'') in 1884. He obviously felt comfortable in both taking cocaine and writing about it in his letters. He mentions and discusses his use of and dreams about cocaine in the Interpretation of Dreams (1889). The true extent and duration of his self-experiments is not known, since access to his correspondence has been severely restricted. Freud is sometimes credited with the discovery of local anesthesia because of his proposal in his cocaine review paper that the substance could be used for this purpose. He also claims suggesting the idea to both Koenigstein and Carl Koller prior to their experiments in ophthalmology, which led to the initial papers on local or topical anesthesia. There is a semantic problem in understanding these claims. Almost all investigators of cocaine had noticed the numbing properties of the drug when placed on the tongue. The idea that this property had a practical use in ophthalmological surgery does belong to Carl Koller, a friend and colleague of Freud's, who did the proper experiments and published them promptly. The controversy about the discovery between Koller and Koenigstein with Freud's mediation is well covered in the article by Hortense Koller Becker, ''Carl Koller and Cocaine,'' in Psychoanalytic Quarterly. Extreme viewpoints that attribute Freud's behavior and writings to the influence of the toxic effects of cocaine are unsubstantiated by evidence. Clearly, he used cocaine as a psychotropic agent on himself and this experience led to his faith in its relative safety. Despite this, there is no real support for a viewpoint that he was an addict or that his thought was markedly affected by his drug usage. The combined notoriety of both Freud and cocaine has led to speculative exaggerations that make better newspaper headlines than history. Becker, H. K. (1963). Carl Koller and cocaine. Psychoanalytic Quarterly, 32, 309-343. BYCK, R. (1974). Cocaine papers: Sigmund Freud. (Edited, with an introduction by R. Byck, M.D.). New York: Stonehill; New American Library edition, 1975. Jones, E. (1953-1957). The life and work of Sigmund Freud. 3 vols. New York: Basic Books. (See Volume I, Chapter VI, The Cocaine Episode [1884-1887]). Malcolm, J. (1984). In the Freud archives. London: Jonathan Cape.